Australia’s four pillars banking policy was originally intended to preserve competition in financial services by maintaining separation of the main players. Today, that policy provides them a comfort zone and a government guarantee. It’s not simply a playing field that needs levelling – the four major banks own centre court and the other players are consigned to court 16. The health of this very large industry is crucial for GDP and employment. It is also essential for prosperity since it enables productive businesses and household wellbeing. But the “steady as she goes” policy is suppressing competitive rivalry that would benefit consumers. It’s not enough to fall back on the defensive argument that the industry weathered the GFC. The pillars’ combined market share is so large that their homogenous business models define the industry. Consumers can hardly distinguish between them for ho-hum customer service and low levels of innovation. Federal government policy still fails to answer the hardest question. Is competition in this market sufficient to engender prosperity? Both rivalry between suppliers, and effective choice for buyers, are essential for a well functioning market. Rivalry leads to diverse business models and a variety of product/price choices for consumers. Effective choice shows up in switching away from unsatisfactory suppliers. In 2014 the UK Competition and Markets Authority looked at the market for personal current accounts. Its first look found a relatively concentrated supply side and some evidence of poorer service, but low levels of switching. Providers with better customer satisfaction ratings were not able to gain ground. All in all, they found “not what one would expect in a well functioning market”. 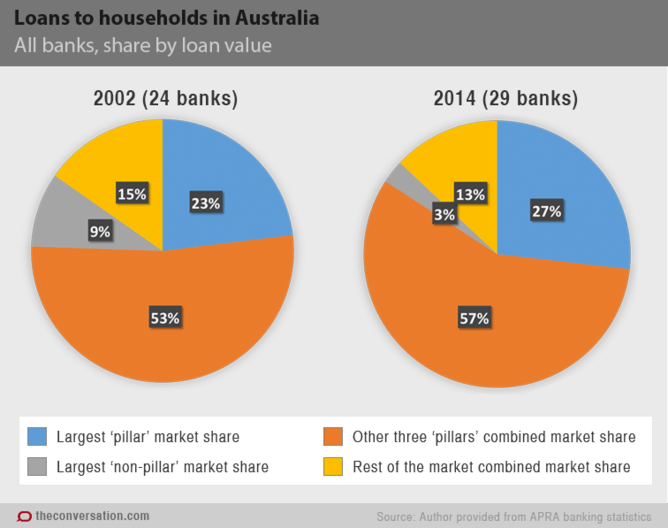 Running that ruler over the market for loans to Australian households gives a remarkably similar result. It’s quite concentrated, the four pillars holding around 84%, after post-GFC acquisitions of next tier banks. Four pillars customers are markedly less satisfied, but there is little evidence of switching, which casts doubt on whether this is a well-functioning market. Consumers are not benefiting from competition between the four pillars and the possibility of a fifth pillar seems to have receded over the last decade, as shown in this graph. It’s not for want of opportunity. As shown in the following graph, the market has grown by a factor of five. Over the period, growth so far exceeds CPI that it’s fair to assume at least three new dollars of loans are present for every one in 2002. Opportunity on that scale would usually see market share changes driven by the success of new competitors and extensive customer switching between competitors. 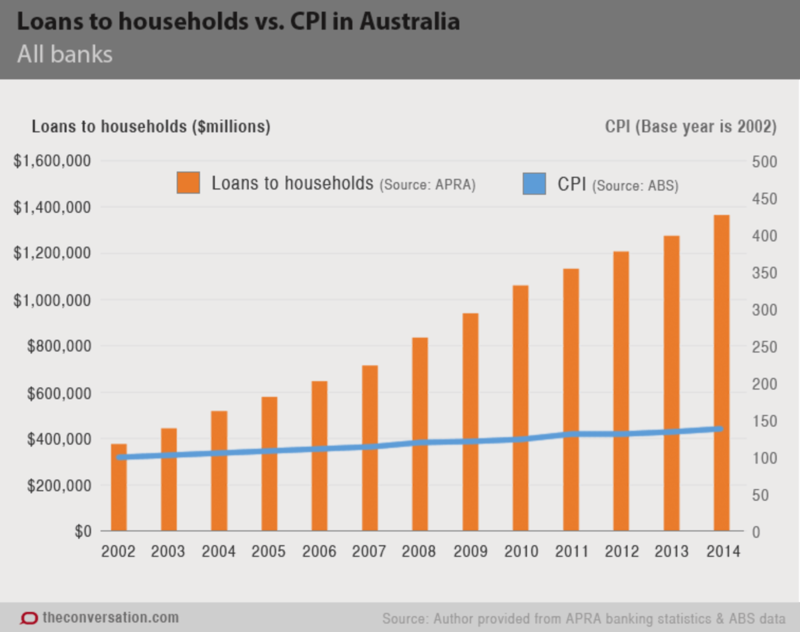 That growth is one of the reasons Australian banks continued profitable operation despite the GFC. For example, comparing pre-tax profits of banks in 15 countries before, during and after the GFC, showed Australia was the clear leader of 11 advanced economies. Strong growth and continuing profits show there was opportunity. But the risks and costs for consumers in switching are a barrier when the vast majority of the market is perceived as no better than each other. This is very like mobile telephony before mobile number portability was mandated by competition policy. If customer switching had operated freely during that growth, there’s a good chance Australia could now have five competitors in the “major” category. But in 2014, two dozen banks together made up a dollar value equivalent to the chunk held by the smallest pillar in 2002. How different competition would look with a strong fifth pillar grown out of one of the non-pillars back then, or one of the new entrants since. In Australia, there is no testing competitive intensity until a merger is proposed to the ACCC. Then the possibility of substantially lessening competition through that merger is evaluated. 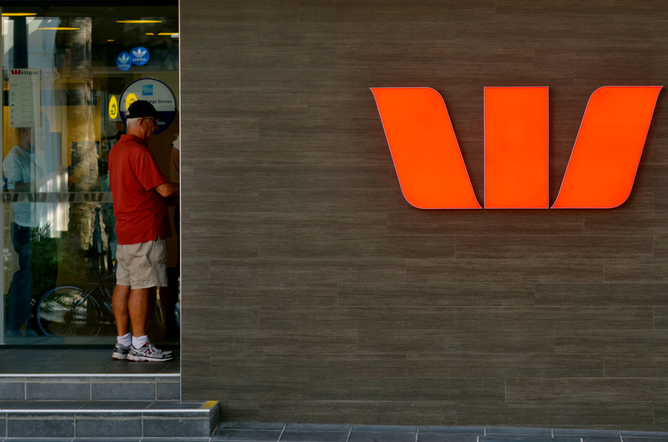 This reactive analysis is insufficient to answer the proactive question: Would Australia benefit from greater competition in financial services that policy change could engender? We still don’t know, because disinterest arises from orthodox banking policy’s zero sum game between stability and competition. The conventional wisdom is that policy makers must favour one or the other. Contemporary theory and empirical evidence are rather more ambivalent. This demands a proactive and critical evaluation of policy options based on nuanced understanding of Australian markets. Without policy or regulatory focus on how much competition is enough, Australia may cede the chance for a fifth pillar of some kind, along with the consumer benefits of more robust rivalry.